Beautiful image! So simple and dramatic. Nice flame and lovely poem so complimentary to it! 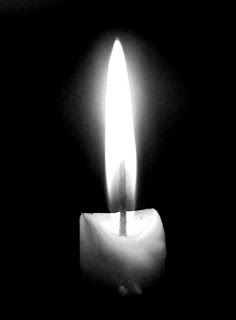 Excellent composition, I love the light and the beautiful colors in B & W.
a great take of the candle flame.